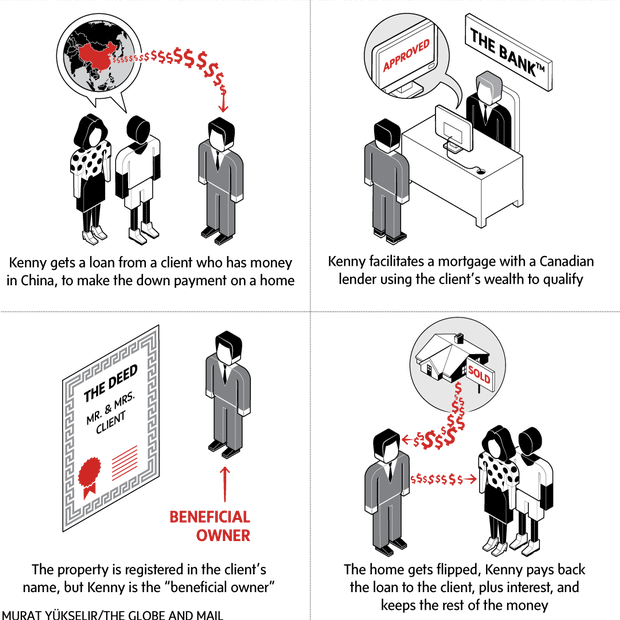 Documents shown to The Globe and Mail reveal that one-time developer Kenny Gu buys and flips homes in deals that are financed with investor money from China and mortgages issued to those investors by Canadian banks. Demetre Lazos says he couldn't just stand by and watch real-estate speculation, as he puts it, destroy his city. The Globe’s SecureDrop service provides a way to safely share information with our journalists. You can find it here. "I am very angry at the system," says Mr. Lazos, who has since quit his job. "I love this country – and it is my country – but I think we are Mickey Mouse." As a result of Globe investigations into Vancouver's supercharged real-estate market, others have come forward, too, including a federal tax auditor, as well as an accountant who says he regularly files tax returns for wealthy clients who buy and sell houses – and appear to declare far less than they earn. "Canada," he says, "is like a Swiss bank account" for his clients. Ottawa says it is studying the issue, and B.C. 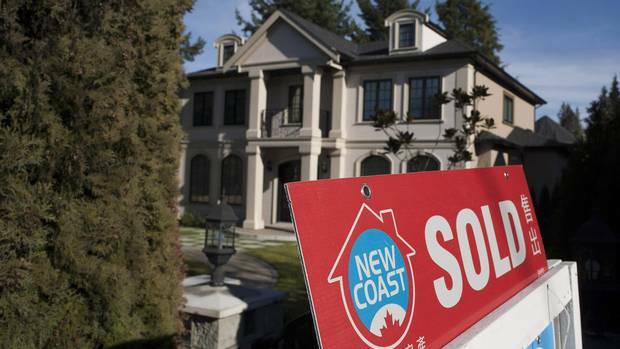 has brought in a tax on foreigners who buy residential real estate in Vancouver. But those who see firsthand how real estate is traded like stocks and bonds say this isn't nearly enough. "We have governments that are not doing their job," argues Mr. Lazos, who acquired his inside knowledge while working for Jun Gang Gu, also known as Kenny Gu, a former civil servant originally from Nanjing, near Shanghai. Mr. Gu came to Canada in 2009 under Ottawa's now-defunct immigrant-investor program, which gave permanent residency to applicants who agreed to lend a significant amount of money to the federal government. He started out here as a developer, but the documents show that his business evolved to buying homes – using other people's money– and then flipping them. His deals are financed with investor money from China and mortgages issued to those investors by Canadian banks. Translated for The Globe, they show that Mr. Gu, or his companies, are hidden – the legal term is "beneficial" – owners of certain properties, even though absentee foreign clients bankroll everything from the down payment and mortgage payments to property-related taxes and other expenses. The homes and mortgages are registered in the names of his clients, their companies or spouses. The financing Mr. Gu's companies receive from those clients comes in the form of loans that are not taxable, and that fall within what's known as "shadow banking" – an unregulated system that has exploded in popularity in China, and now appears to be getting a toehold in Canada. Such "peer-to-peer" loans, as they are also called, sidestep banks entirely, and promise lenders significantly higher returns than they can get elsewhere. Mr. Gu's lender clients earn their wealth primarily in China, while coming and going from Vancouver, according to Mr. Lazos. Records show that they give Mr. Gu power of attorney to facilitate everything through his small, nondescript Vancouver office, but his stake in the properties remains hidden. And although he is not licensed to broker mortgages or manage investments, records suggest he does both. In addition, Mr. Gu has billed some clients up to $1.2-million, per property, for "management" and "commissions," in the last two years. Over that same period, he and his wife have moved large sums of money between their bank accounts, up to $600,000 at a time. As well, Mr. Gu made credit-card payments totalling $310,000 in a brief period. The family's vehicles include a BMW and a Mercedes. And yet, Ms. Tang recently bought a brand new house in West Vancouver – one of Canada's richest municipalities, known for its mansions and stunning views – for $2.1-million. She listed her occupation on the title as "homemaker." And she didn't need a mortgage. Records show she bought the property from one of Mr. Gu's clients – and for significantly less than the market value for other homes in the upscale area. Mr. Gu's three corporations all reported losses, in unaudited financial statements ending last year. Photocopies of some cheques made out to his companies – a fraction of the total – show that those companies received a minimum of $7.6-million in large payments between 2014 and 2016, many marked as "loans" from clients. On the tax front, records suggest that the clients classify some of the properties as their principal residences, even though they do not live in them. That's despite the fact that Canadian rules stipulate that a taxpayer cannot call a home a principal residence and sell it tax-free, unless they purchased it to live in it, and didn't sell it within the same year. "If you are buying and selling these homes as a business practice, that is business income and it's taxable," says Toronto-area accountant David Cramer, one of several experts The Globe consulted while reporting this story. He suggests that both Mr. Gu and his clients should be declaring that income. "If these guys paid proper taxes, these transactions would not go on as they do," he explains. "It wouldn't be nearly as profitable as it is." Tax lawyer Jonathan Garbutt estimates that the tax revenue lost through such activity is massive, particularly in pricey Toronto and Vancouver. "I think this is yet another example of non-enforcement of penalties under the law. It's pervasive and it's systematic," Mr. Garbutt says. "Unless it changes, this will get worse. We will have a corrupt system." Documents show some of Mr. Gu's clients also pay very little tax in Canada, despite having significant cash flow and assets. For example, in 2014, records show that client Shen Lin Zhang paid $2,594 in Canadian taxes on $59,711 in reported income, while his "homemaker" wife owned and lived in a Vancouver house worth $2-million. Documents link Mr. Gu and his clients to activity involving at least 36 properties over the past five years. Mr. Lazos says that Mr. Zhang earns his living in China. His CRA tax filing shows he is not a Canadian citizen, but he claims in it that he's a B.C. resident. That allows him or his family members to classify any Canadian property as a principal residence and not report the profit when they sell. Mr. Zhang declined The Globe's request for an interview. A Chinese-Canadian accountant in Vancouver estimates that he has filed tax returns for 1,000 clients just like Mr. Zhang in the past five years. He does not want to be named because he fears repercussions, but says the CRA is partly to blame for lost revenue, because it doesn't require taxpayers to report the sale of any principal residence. "Every one of [those client families] has more than one house – two, three, four, sometimes more," he says. "They don't have to tell me. The CRA says they don't have to tell anybody." "They say, 'I just want to pay around $5,000 in tax. How much does that work out to be in income?' he says. "And then they say, 'I have this much interest income from money I deposit with the Canadian bank or the company or whatever.' That's it." "I have in my hands people who claim to be residents. They never live here for more than a month of the year," he says. "These people can be buying and selling homes and claiming to be a resident all the time without getting into any trouble. The CRA doesn't look to find out." 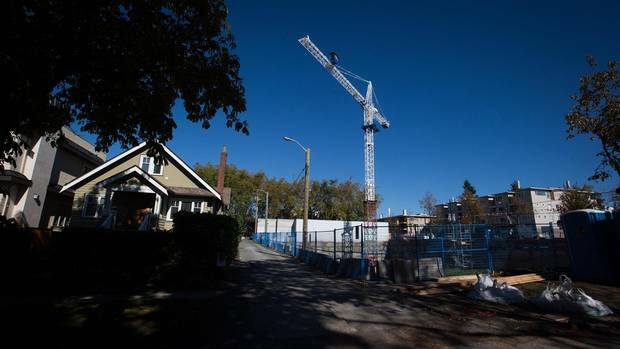 Another Vancouver accountant told The Globe that she and her colleagues see questionable real-estate transactions all the time, which they believe have contributed to skyrocketing prices. "This has become a huge mess. You have no idea how angry I am," says Corina Ciortan. "A generation of people has been screwed. It's so obvious. Everyone I work with is so angry because there is a select group of people who have profited from this." In a statement sent to The Globe, the CRA said that 2,203 files related to real estate were audited last year in Ontario and B.C., and that the agency plans to do "as many or more" next year. "The Canada Revenue Agency takes non-compliance very seriously, and is committed to protecting the fairness and integrity of the tax system," it says. In addition to holes in the tax system, speculators like Mr. Gu also rely heavily on Canadian financial institutions to give their clients multimillion-dollar loans. "They are using this money temporarily – to make more money – instead of using their own money," Mr. Lazos says. "Then prices go up. We are making the bank richer and the Canadians poorer." "If the client defaults, who are they going to collect from? Because they don't know who the beneficial owner is of these properties," says Christine Duhaime, an expert on anti-money-laundering laws. "The bank thinks it's complying with anti-money-laundering laws in knowing its client, but it isn't. No bank likes being lied to." E-mails in the records show that RBC questioned Mr. Gu when it realized mortgage payments from a bank client were coming from Mr. Gu's business account, but let it continue after the client gave his permission for the payments to continue. The Globe asked RBC about this; it declined to comment. Meanwhile, more recent documents show that Mr. Gu is moving into more sophisticated ventures. A recent business plan, written in Chinese, suggests he is crowdfunding to buy real estate, a practice that has been under scrutiny by regulators. The plan states that Mr. Gu finds properties to buy, and his clients cover the down payments. The rest of the money comes from bank financing and money raised through "social finance." Properties are then flipped, loans paid off, and profits shared by all. Mr. Gu also persuaded investor clients to lend him a total of $1.4-million so that his company could invest in a B.C. jade-mining operation. Contracts show that 28 clients were promised a 12-per-cent return if they each lent $50,000 to Mr. Gu's company for less than a year. That amount is interesting: It matches, to the dollar, the maximum a citizen can take out of China in a year. Mr. Gu solicited the deals without giving his investors a prospectus, which is required by law unless those investors are close associates or wealthy enough to bear the risk. Records show that Mr. Gu is now under investigation by B.C. 's securities regulator over this scheme. As a result of The Globe's inquiries, both B.C. 's Financial Institutions Commission, which regulates mortgage brokers, and the B.C. Securities Commission have expressed interest in the kind of real-estate activities Mr. Gu engages in. Mr. Lazos says that his whistle-blowing will be worth it only if it jolts Ottawa and B.C. into action. And his reasons, at least in part, lie close to home: "I hate the fact that for my daughter and my grandchildren, there is no way they can own a house in this city." Kathy Tomlinson is a Globe and Mail reporter based in Vancouver. You can join her for a Facebook Live chat on Vancouver real estate on Sept. 13 at 11 a.m. PT/2 p.m. ET at facebook.com/theglobeandmail.